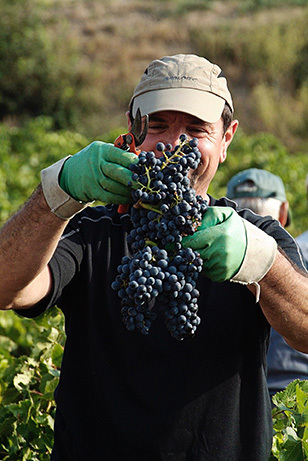 Everything begins during the summer, when we choose the sixty grape-pickers necessary to bring in to the cellar the fruits of our work of the previous twelve months. This team of enthusiastic volunteers will come to support the cellar’s fifteen full-time employees and ourselves, for whom this final stage of the winegrowing process carries a highly symbolic significance. Indeed, it’s the transition between the cycle of the vine and that of wine. 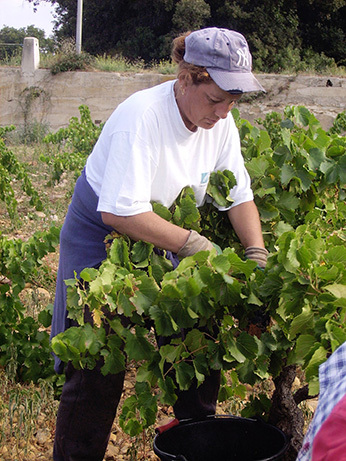 The regulations of the Châteauneuf du Pape appellation’s decree stipulates that the harvest must be carried out by hand. 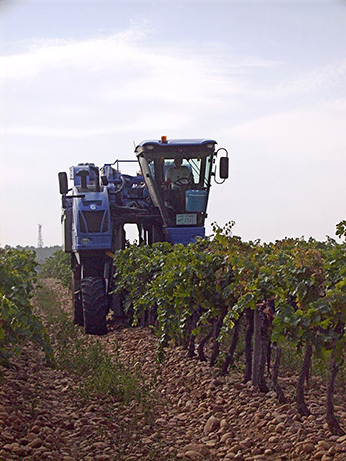 For Côtes du Rhône, there’s nothing to stop you harvesting by machine. However, harvesting manually ensures that the clusters of grapes remain intact until their vatting, which is a further guarantee of quality. 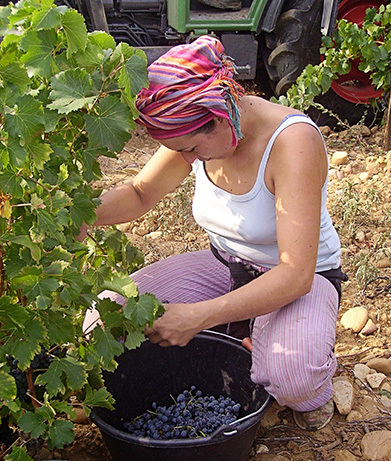 The vineyard of the Château du Bois de la Garde still being, for the most part, bush-trained, and therefore without trellising, we also undertake a large part of this harvest by hand. 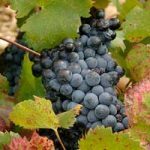 Starting at the end of August, half of the team devotes itself to picking the first white varieties, the Grenaches and Roussannes of the Chateau Jas de Bressy, and then those of the Fines Roches. 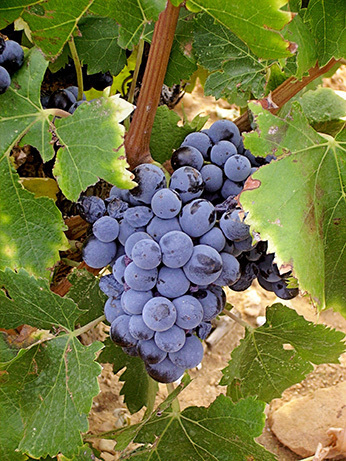 After that, it will continue in early September by harvesting Château du Bois de la Garde, starting with the first plots of red grape varieties which will be used to produce our Côtes du Rhône rosé. Then towards mid-September, according to the constraints of the weather, the second half of the team will start work: one half will concentrate on the Bois de la Garde and the other on the Fines Roches, finishing with the Jas de Bressy. In both teams, the cutters and the carriers run the show. As the cutters fill their buckets, the carriers replace them with new, empty ones. 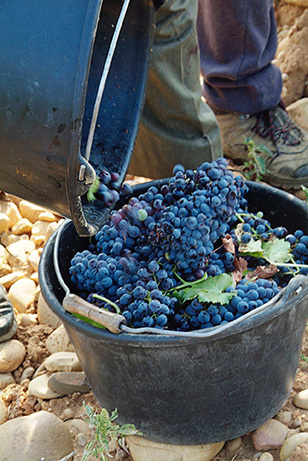 The first sorting is carried out by the pickers: before placing each bunch in the bucket, they make sure that the grapes are healthy. 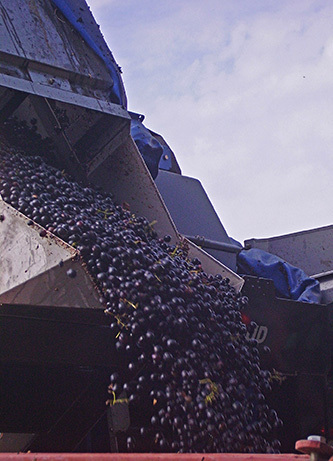 In the hopper, the grapes are then sorted a second time, by the sorter, when a carrier empties a bucket. 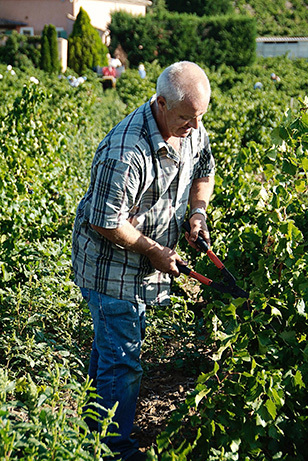 In most of the vineyard, the rows of vines are barely two yards apart, which means that it’s necessary, in order not to damage the stocks and the grapes, for the tractor to follow the pickers so that the branches sticking too far out into the row and which the tractor could tear away may be removed. 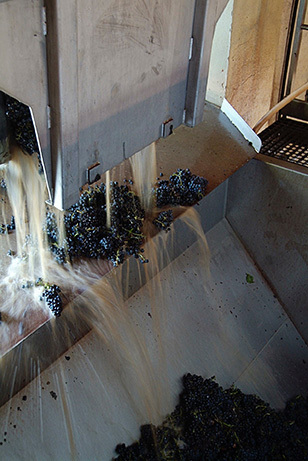 Then once the hopper is full, it’s off to the cellar to empty it.